Our tank tops are perfect if you're looking for a new summer look. Whether you're at the beach, at the park or on the court, you can show off your big muscles. 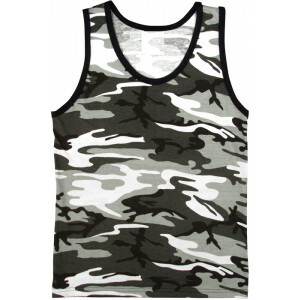 We offer a wide variety of camouflage and solid colors and patterns. 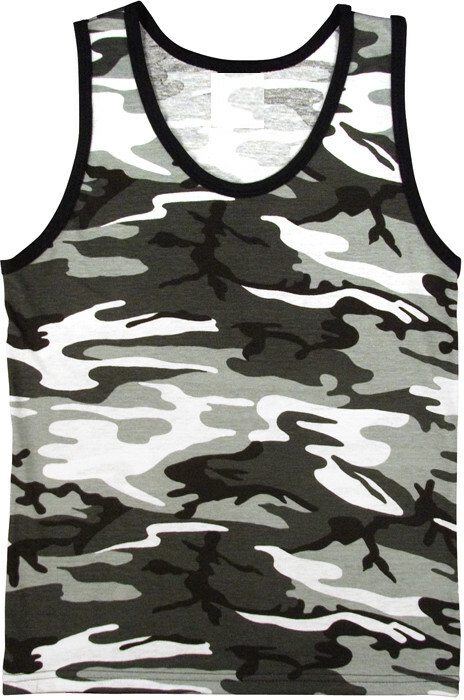 Get your pump on while sporting your favorite military design. You can certainly find the style to match the rest of your outfit or wear it with any outfit for a top that will pop out. Chest measurements are from under armpit from right to left, front side only. Length is from shoulders down. This is a generic size chart, it does not mean all products are available in these sizes. All measurements are done in inches.